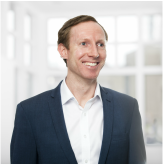 Dave Worthington is Verco’s Managing Director and has over fifteen years of experience advising policy makers, major companies, developers and investors on energy efficiency and low carbon buildings. He is currently directing the Building Energy Efficiency Survey (BEES) programme for DECC, updating the entire evidence base for non-domestic energy use, abatement potential and energy management barriers. Other recent projects include; a national renovation strategy for DECC/DCLG; a two year Innovate UK-funded Post Occupancy Evaluation of a large multi-tenant city office building; and the development of a Low Carbon Workplace standard for the Carbon Trust.